In the Dark Horse Project at the Harvard Graduate School of Education, bestselling author and acclaimed thought leader Todd Rose and neuroscientist Ogi Ogas studied women and men who achieved impressive success even though nobody saw them coming. 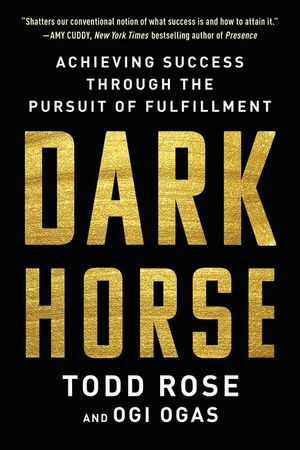 Dark horses blaze their own trail to a life of happiness and prosperity. Yet what is so remarkable is that hidden inside their seemingly one-of-a-kind journeys are practical principles for achieving success that work for anyone, no matter who you are or what you hope to achieve. This mold-breaking approach doesn't depend on you SAT scores, who you know, or how much money you have. The secret is a mindset that can be expressed in plain English: Harness your individuality in the pursuit of fulfillment to achieve excellence.